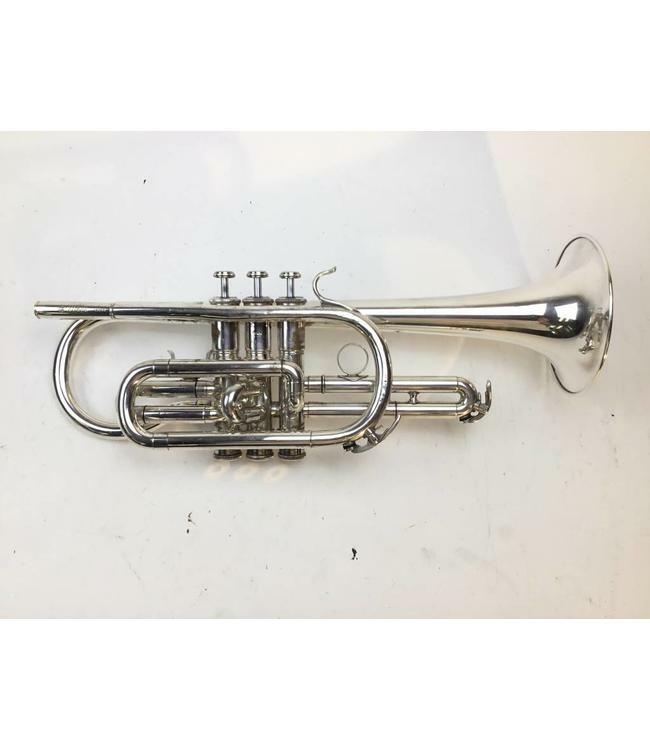 Used Yamaha YCR-731S Bb cornet in silver plate. Instrument is in good condition with evidence of repair work, dings and surface scratching throughout, silver wear at contact points and dings in leadpipe. Includes original case.